U.S. Energy Secretary Rick Perry told lawmakers on Thursday he did not know whether any of the approvals he authorized for U.S. companies to sell nuclear power technology to Saudi Arabia were made..
▶ Videos for "Khashoggi Killing"
A Saudi human rights commission said on Thursday that it was bringing those accused over the murder of Saudi dissident journalist Jamal Khashoggi to justice. 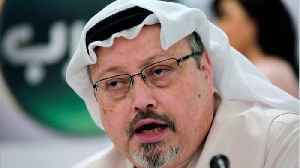 However, the commission also rejected an..
Turkey said on Thursday that Interpol had issued red notices - asking police worldwide to locate and provisionally arrest a person pending extradition - for 20 people regarding the killing of Saudi..
U.S. Secretary of State Mike Pompeo provided an update on the investigation into Saudi journalist Jamal Khashoggi's killing to Congress on Friday, a State Department spokesperson said. 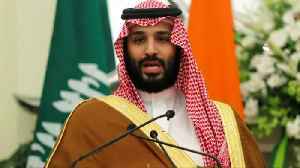 Saudi Minister of State for Foreign Affairs Adel al-Jubeir on Friday told members of U.S.-based media that Crown Prince Mohammed bin Salman did not order the killing of the Washington Post's Jamal..
A United Nations investigation into the killing of Saudi journalist Jamal Khashoggi has to be launched, Turkish Foreign Minister Mevlut Cavusoglu said on Friday. The United States does not believe the Saudi version of the October killing of journalist Jamal Khashoggi has "hit that threshold of credibility," a senior State Department official said on Friday even..